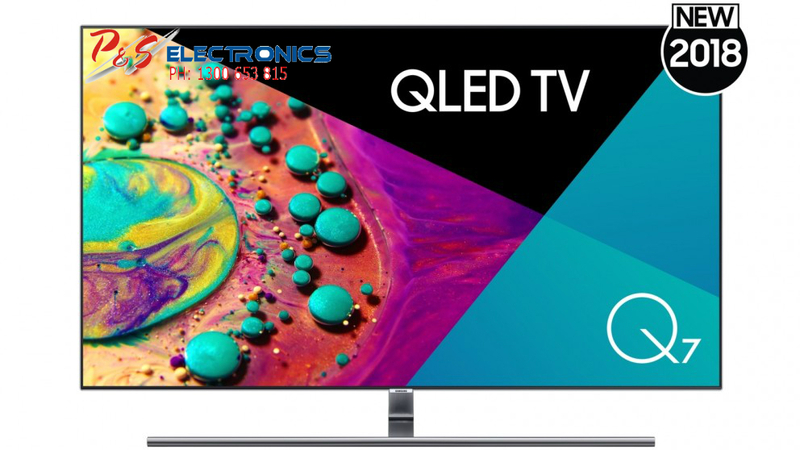 Enjoy watching your favourite movies and TV shows or play video games with the Samsung Q7 4K Ultra HD QLED Smart TV for an immersive entertainment experience at home, thanks to its 4K QLED panel and exceptional 200Hz Motion Refresh Rate. 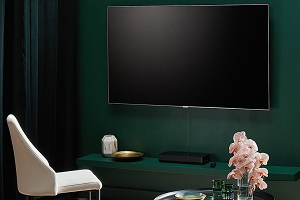 It also has Ambient Mode to let it seamlessly blend with the rest of your living room even when turned-off by subtly displaying photos, weather news, and time. 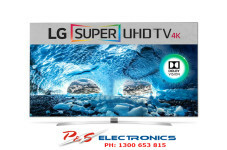 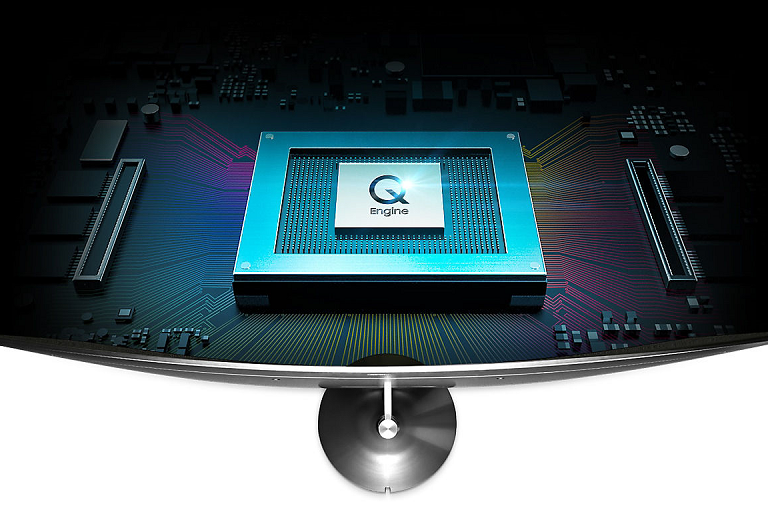 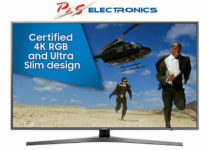 The Samsung 55-inch Q7 4K Ultra HD QLED Smart TV has a powerful Q Engine to analyse each scene, bring vibrant colours (Q Colour), offer optimal contrast levels (Q Contrast), and provide impressive detail for your visuals. 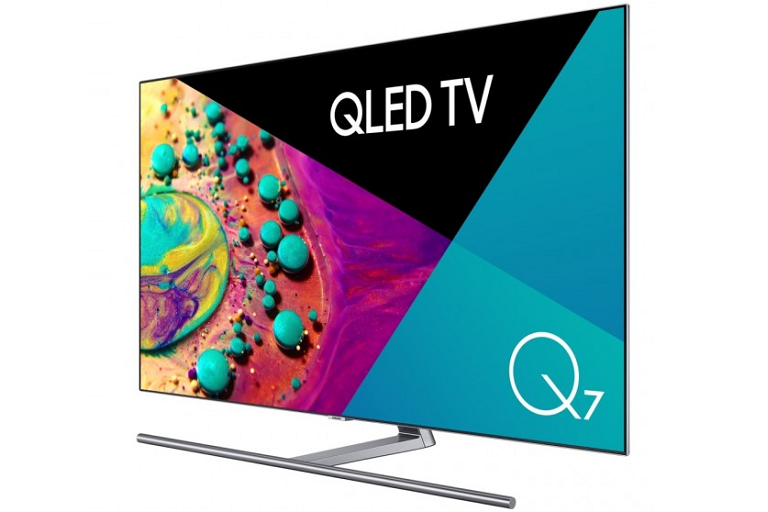 With its support for HDR10+, the Samsung Q7 Ultra HD QLED Smart TV delivers accurate colour reproduction and breathtaking images even in extremely dark and bright scenes (when playing compatible HDR content*). 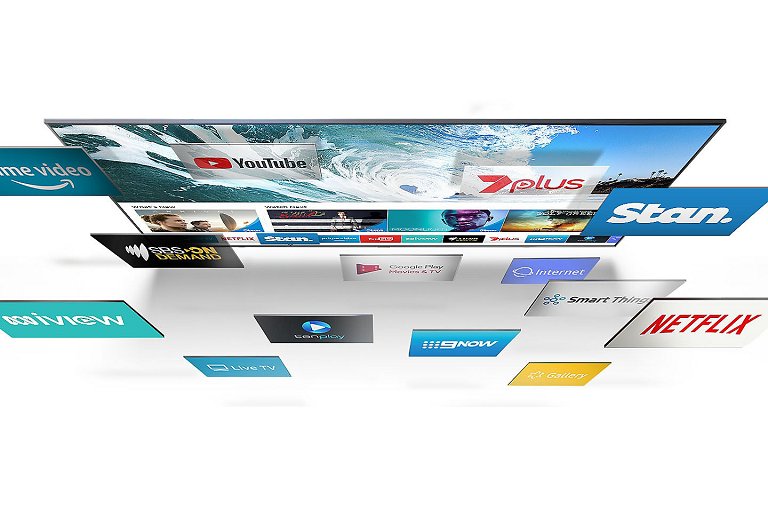 Thanks to Smart Hub, this Samsung Q7 TV lets you quickly access different online media services, including Netflix and YouTube, from one location**. 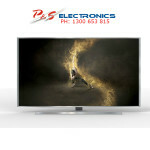 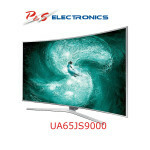 This TV also has Freeview Plus^ to let you browse and select various free-to-air and catch-up TV shows. Featuring SmartThings, the Samsung Q7 4K QLED Smart TV can connect to various compatible smart devices (including your washing machine, fridge, or mobile phone) for seamless integration across your home^^. 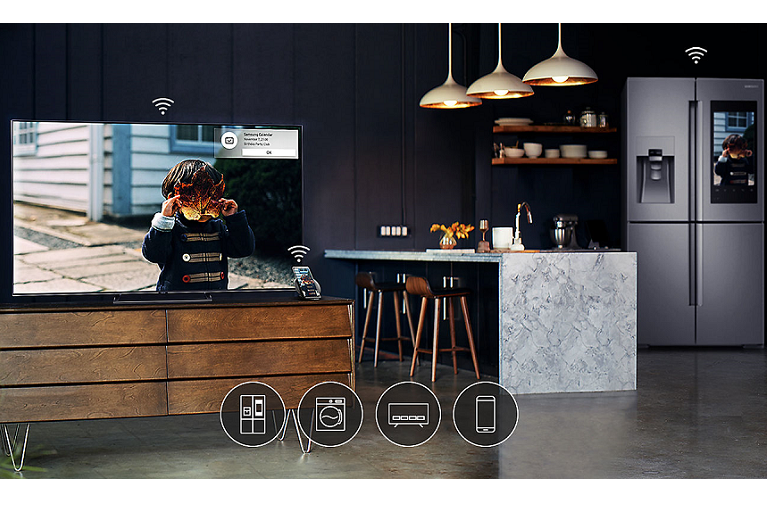 Download the SmartThings app onto your smartphone for an easy set up. 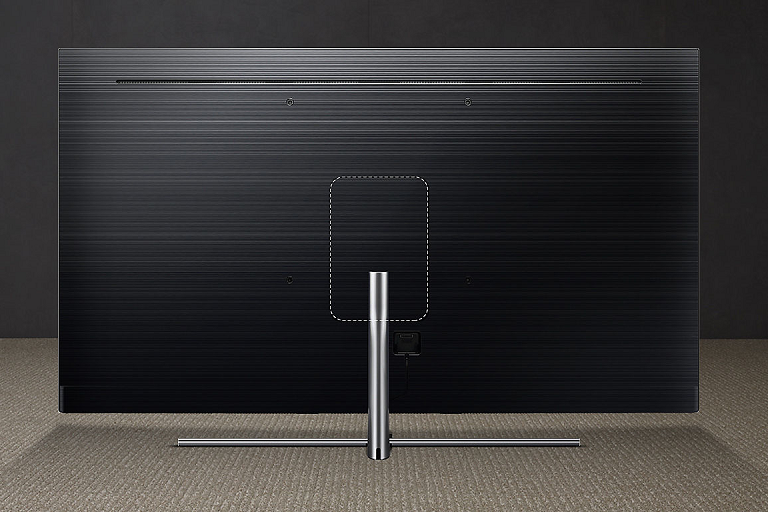 Built with a One Mount solution, the Samsung Q7 4K Ultra HD QLED Smart TV can be placed in various positions, whether through wall-mounting or on easy-to-change stands, including the Studio Stand and Gravity Stand (each sold separately).